“A Pinch of Salt” originally appeared in 2006 in Mythic #2, edited by Mike Allen and later collected in On the Banks of the River of Heaven. It’s about foolish men and mermaids. Sort of. Other than that, I do not have a lot to say about it. The story speaks for itself a lot better than I could, which is pretty much the case for all of them. Standard Reminder: “A Pinch of Salt” will only be online until Wednesday, November 8th. 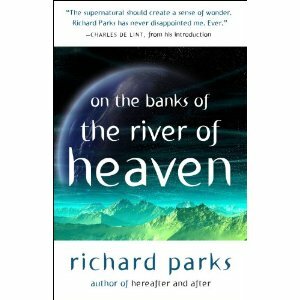 This entry was posted in Anthology, Collection, Folklore, legends, Writing and tagged Mythic #2, On the Banks of the River of Heaven, Richard Parks by ogresan. Bookmark the permalink. Excuse me for being silly – but where is the link on the blog to the story itself? Missing! I forgot to put up the link. It’s there now.